« Join our Team at Browns Gab Today! Rumors have come out with the combine ongoing that the Rams are interested in moving out of the two spot, but also that QB Robert Griffin III is NOT going to fall past that elusive two position. 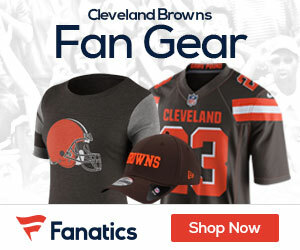 That means, if the Browns can’t land Matt Flynn and want RG3, they are going to have to find a way to move up with Pat Shurmur’s old team that he was the OC of just two seasons ago. 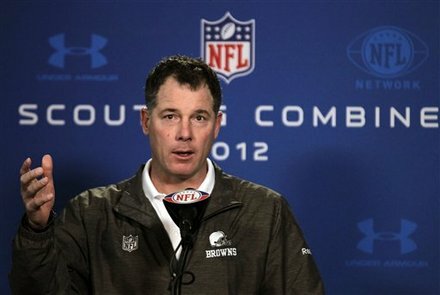 Shurmur said Thursday at the NFL Scouting Combine that the Browns are up for wheeling and dealing with their two first-round picks, including trading them to the Rams at No. 2 to select Griffin. If the Browns don’t get a deal done with the Rams, the one team that is likely to very much chat with St.Louis is Washington, another team in dire need of a QB. The Rams and new coach Jeff Fisher have already said that they may deal out of the #2 pick before the draft even happens. Some rumors said it would happen before the combine even ends, but that seems far fetched. We shall see. While I like RGIII as a player and a person, from what I have seen, Cleveland is missing far too many pieces to warrant trading a future away for one player. I would certainly love to see this guy as a Brown — but not if he is the only decent player we get out of this draft and possibly a future draft . . we have won with lesser talents under center — and so have other NFL franchises . . . The Browns have too many needs to trade for him. Much better to grabd a great running back, good wide receiver and offensive lineman than to give it all for a quarterback with no one to give it to. We also need a corner, lineman and linebacker. Trading three or four for a possible Mike Phipps is too risky.